Not everybody is born with a green thumb. Many people need to study up on plant care to be able to keep those green leaves alive and happy. And until they find the time and motivation to do so, their houseplants may suffer. 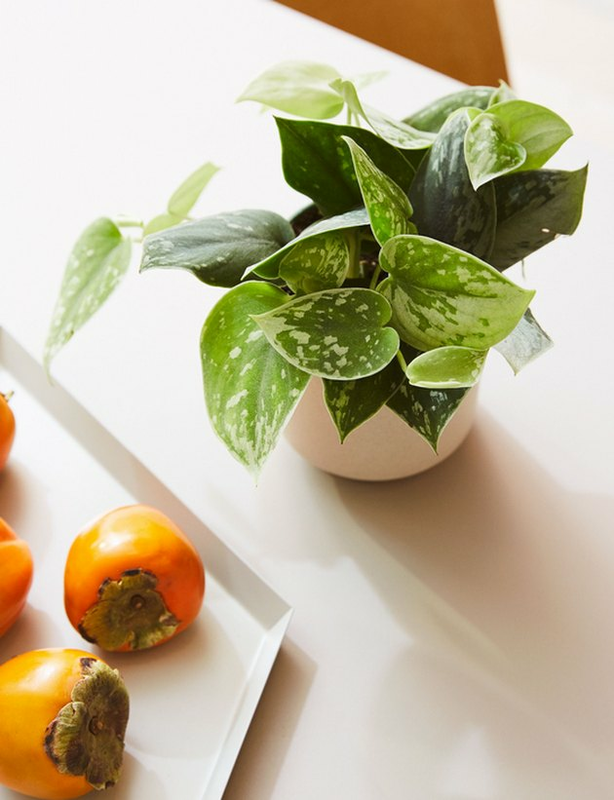 If one of your friends falls into this brown-thumb (or let's be honest, black-thumb) category, it's a challenge to find resilient greenery impressive enough to serve as a gracious housewarming present. But such plants are out there. Here are five perfectly showy plants that thrive on neglect. Spider plants (Chlorophytum comosum) are definitely impressive. Their bright, grass-like leaves grab center stage when the pot is positioned in a bright window. These plants come in solid green or variegated cultivars, one as easy to care for as the next. Spiders get their common name from their unique form of propagation. As the plant matures, it grows long stems. Each is tipped with a baby plant resembling an arachnid, and the "spiderettes" drape down on all sides of the "mother" plant. Each will develop roots and can be potted up as a separate plant. 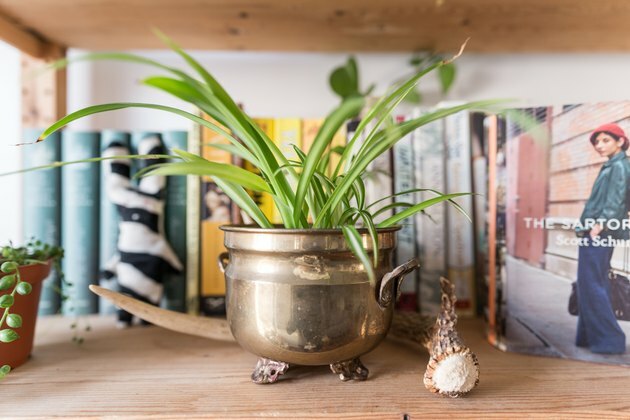 Spider plants have a well-earned reputation for being adaptable and resilient, making them perfect housewarming gifts for gardening newbies. They are among the easy-peasy houseplants that survive in a wide range of circumstances. 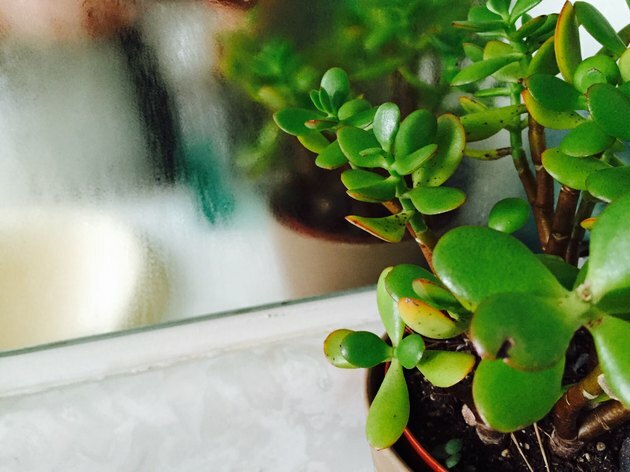 Jade plants (Crassula Ovata) make excellent housewarming gifts. Also known as the lucky plant or the money tree, they are thought to bring good fortune into a home. And they are succulents, attractive, resilient, and virtually impossible to kill. That means you don't have to worry much about the plants' demise when offering jade plants as houseplants. They are real survivors and can live for a very long time with very little care. They only need infrequent watering, so neglect works in their favor. Fertilizing this plant isn't necessary, but it's nice, though not essential, to wipe dust off the leaves from time to time. 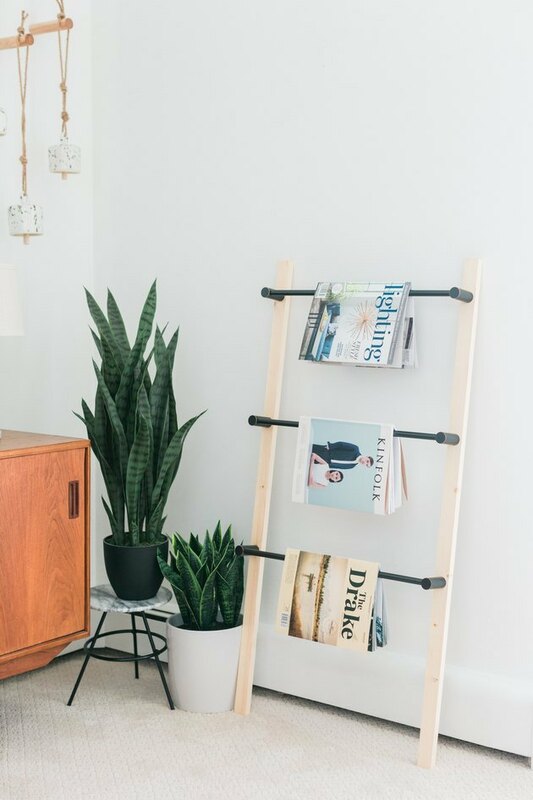 Heartleaf philodendron (Philodendron bipinnatifidum) is a housewarming gift that carries a lot of love. Even the genus name "philodendron" means "love tree" in Greek, and the leaves of this species are shaped like valentines. This vibrant, easy-care plant is a great gift for anyone, including those without houseplant experience. The plant grows in almost any situation, from bright light to low light. The branches cascade beautifully from a hanging container but positioned differently, they can climb as a vine. It's the contrast that makes this houseplant a spectacular and impressive gift: the cactus branches are flat, segmented and a dull green-gray, while the blooms are frilly and vibrant. When in bloom, holiday cacti light up a room in pinks, reds, or lilacs with just a minimum amount of care. 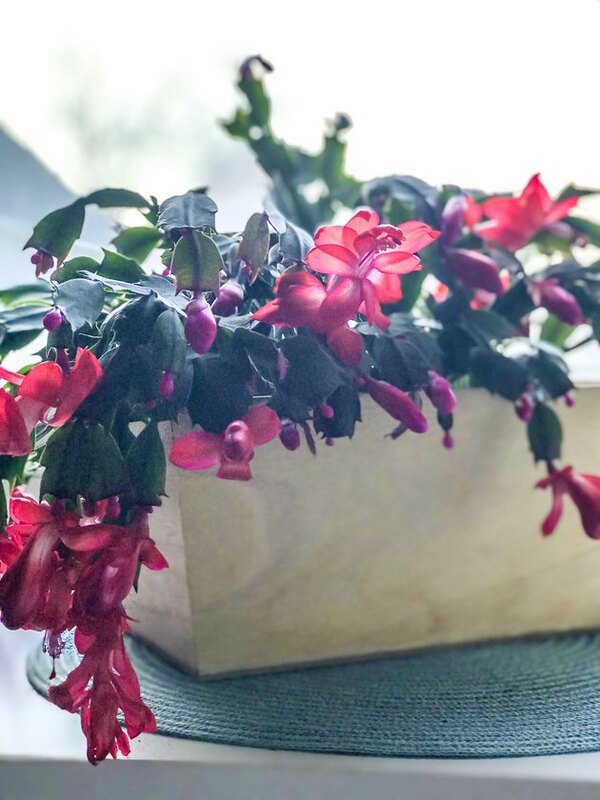 The scientific name for this plant is Schlumbergera truncata, but most people refer to them as holiday cacti. There are three main types available in commerce, each blooming at a different time of the year: the late-fall flowering Thanksgiving cacti; Christmas cacti, which blossoms in early winter; and Easter cacti, blooming in mid-spring. These are not desert-dwelling cacti, but come from the Brazilian rainforests. So, they need more water than other succulents. 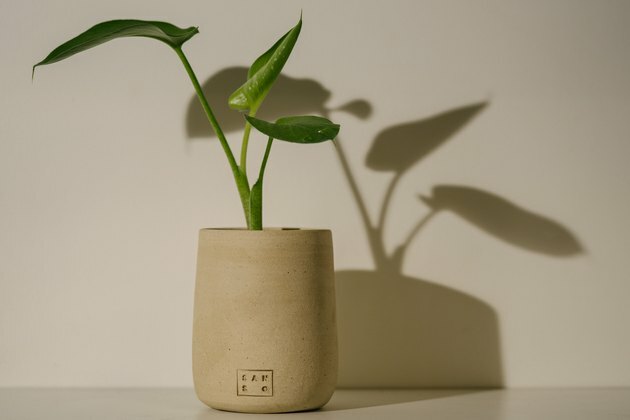 But as long as the houseplant comes in appropriate soil in a container with drainage holes, it will survive long periods with only an occasional drink. Once the plant blooms, it needs more water, but is likely to get more attention from its new owners, given its magnificent display. With slender variegated leaves that can grow as tall as you are, the snake plant (Sansevieria spp.) is virtually indestructible. Put it in the sun, it thrives. Ditto with partial sun or even partial shade. Also called mother-in-law's tongue, the snake plant only needs very occasional irrigation to keep on keeping on. It is happy left to its own devices for weeks at a time. In fact, as long as the plant isn't left soaking in water, it will survive and look lovely in any home. The classic variety is Sansevieria trifasciata. It is elegant with forest-green leaves and light striping. For an even sunnier housewarming gift, buy 'Golden Hahnii.' It's just as resilient, but the leaf accent colors are a sunny yellow.